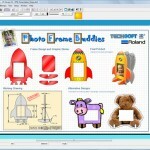 With over 6000 schools using it, 2D Design is the standard drawing package for D&T in the UK. Combine vector graphics, text, bitmap images, photographs and clipart to create stunning graphic product designs such as logos, point of sale displays, packaging, greeting cards, etc. Create manufacturing drawings and output them directly to a wide range of millers/routers, laser cutters, knife cutters, etc. 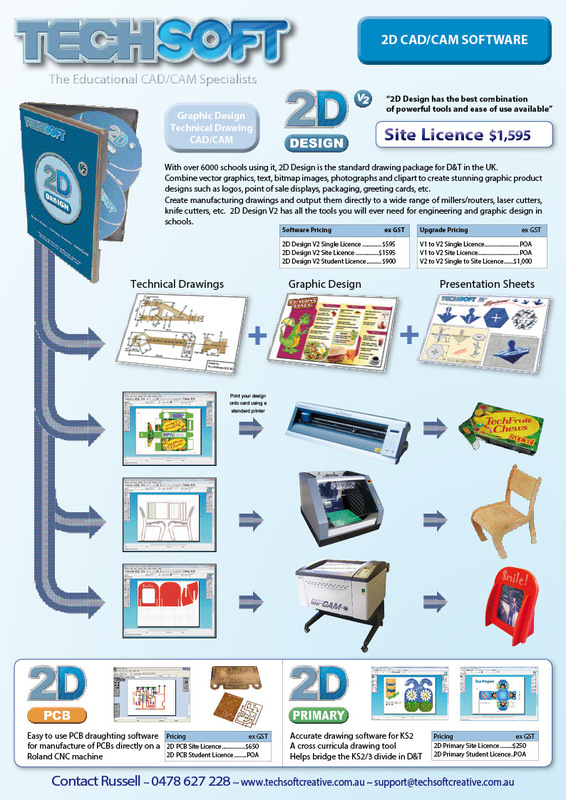 2D Design V2 has all the tools you will ever need for engineering and graphic design in schools.